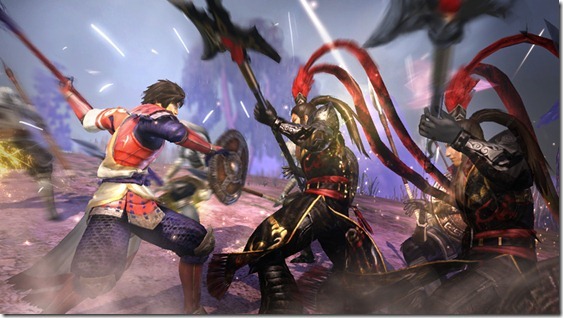 Tecmo Koei has announced that Warriors Orochi 3 is coming to the west as Warriors Orochi 3 Ultimate. In addition to the PlayStation 3, PlayStation 4, and PlayStation Vita, it will also be coming out on the Xbox One, marking the second time in as many days that the western localization of a Tecmo Koei game is getting an SKU that it simply did not have upon its Japanese release. The game promises the same style of densely packed battlefields, with hundreds of enemies to slice through, that the series is known for; the PlayStation versions of the game all benefit from Cross-Save and Cross-Play functionality, and the PlayStation 4 version, in particular, also lets you share your experiences online. Warriors Orochi 3 Ultimate will be available exclusively through the PlayStation Store for $49.99 (PS3) and $39.99 (PS Vita) respectively for those versions, and the PlayStation 4 and Xbox One versions will be available for $59.99, presumably also at retail.